Is there too much beetroot? Beetroot must be the most humble of all vegetables, but a true queen of health and longevity. There aren’t too many vegetables that can be enjoyed all year round, are local, can be easily stored, in soil or in depos and are used in all sorts of dishes – salads, soups, sides and desserts. 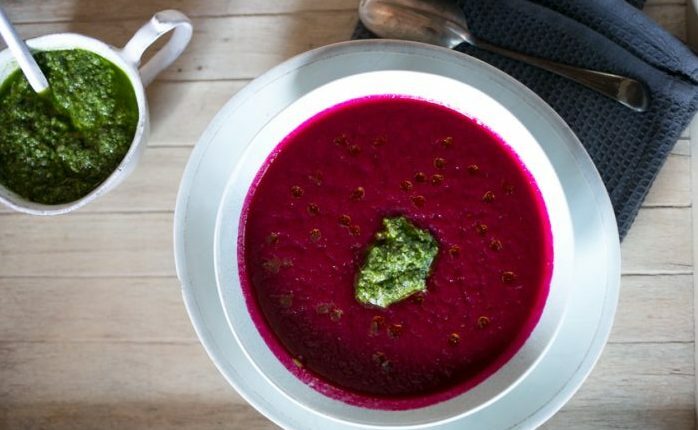 In medieval times beetroot was used a a medicine to cure digestive and circulation illnesses. 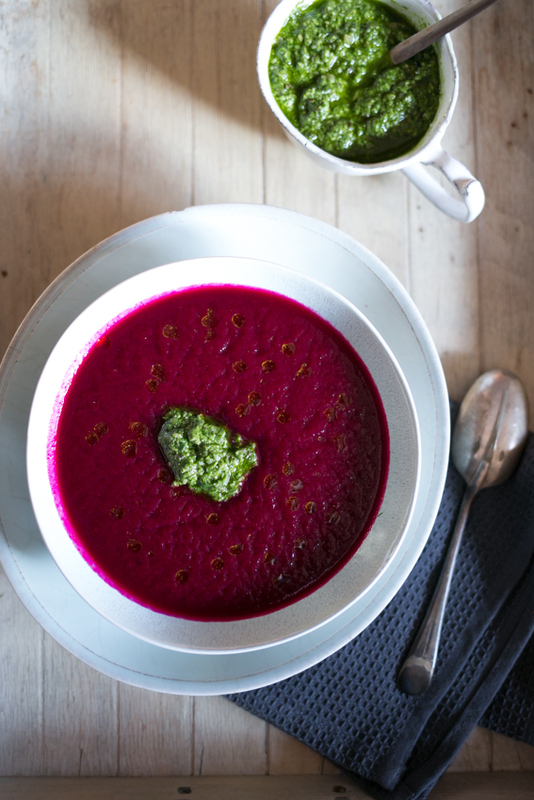 Bartolomeo Platina recommends beetroot with garlic, to remove the garlic smell. Farmers grow all sorts of beetroot varieties, choosing by colour, size, shape, etc. 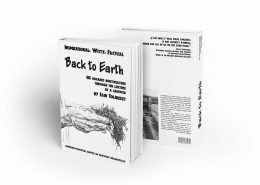 There is white beetroot, yellow, red, variegated, as well as winter and spring varieties. It is quite easy to grow, from sowing, it should be ready in 55 days in the summer. It is not a needy crop, quite unpretentious. From a nutritional point of view, beetroot contains a high percentage of vitamin B and Manganese. Both are important for good digestion and blood circulation. It is also a good laxative, prevents constipation and beta nine (the substance that confers there ed colour) does not disintegrate in your body. Which means that after eating beetroot your poo and ursine will turn slightly red. Nothing to worry about. Betanine is also used industrially as a natural colouring, in cooking sauces, tomato paste and various desserts. In former times beetroot was used to dye carpets and rugs. Beetroot is used raw, boiled, baked, pickled or roasted. It has seen a surge in popularity with the advance of the ±cleen cuisine± rend, used in smoothies and juices, combines with other vegetables and fruit. You will need a powerful juicer in your kitchen to make the juice. I used it mostly raw, grated in salads. Or steamed when it is tender in spring. Try cooking chunks or baby beetroot wrapped in foil, with a bit of balsamic vinegar, garlic and oil, for 40 minutes. I borrowed this recipe from author and blogger Clotilde Dusoulier. I adapted it to my ingredients: frozen basil instead of fresh spinach and ground almonds ins tread of pumpkin seeds. I hope she won't mind. The long beetroot is best as it will roast faster. I must say though, the pesto does the trice, as the soup is pretty basic. But delicious. Scrub the beetroot but do not peel. Put them in a baking tray. 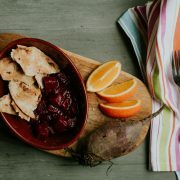 Place the tray in a cold oven and turn to 250 degrees C. Roast until a knife can be easily inserted into the centre of the beets, 1 to 1.5 hours, depending on their size. Let rest until cool enough to handle, then peel and cut into chunks. While the beets are roasting, prepare the pesto. In a blender or food processor combine the basil (or spinach), almonds (or pumpkin seeds), oil, garlic, half a teaspoon of salt and a generous grinding of black pepper. Process until smooth, adding more oil as needed to reach your preferred consistency. Taste and adjust the seasoning. 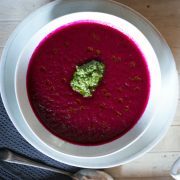 In a blender or medium soup pot if you're a re going to use an immersion blender, combine the beets, stock, cumin and half a teaspoon of salt. Process until smooth and velvety; wear an apron and watch out for any splatter. Reheat over medium-low heat, taste and adjust the seasoning. Serve warm, topped with pesto. http://www.tolhurstorganic.co.uk/wp-content/uploads/2017/01/Tamara_30Jan_17-e1484405620579.jpg 430 698 Tolhurst Organic http://www.tolhurstorganic.co.uk/wp-content/uploads/2015/07/tolhurst_organic_logo-300x135.png Tolhurst Organic2017-01-14 14:54:262017-01-14 14:56:23Is there too much beetroot?